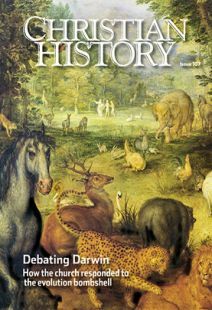 IN THE NINETEENTH and early twentieth centuries, people responded to Darwin’s ideas in many different ways. Here are several of the most common positions, showing where the thinkers featured in this issue fit in. We talked about evolution, or “survival of the fittest,” before Charles Darwin came on the scene. Darwin inspired me to develop my scientific theories. We believe science and religion are eternally opposed to each other, and Darwin proves it. Darwin poses challenges to Christianity, but we can revise our theology to deal with them—perhaps radically. Darwin poses challenges to Christianity, but we believe other theories of evolution do not. Darwin poses challenges to Christianity, so we need to show that he is wrong—either in his theology or his science. • Charles Hodge (1797–1878), American theologian and head of Princeton Theological Seminary, author of What Is Darwinism?